You shall not pass, Mississippi. Well, not much further, anyway. Strolling the levee with cops and other disaster-tourists. « I dare you to watch this entire video. It’s an interesting image but kind of tough to look at when you consider the damage to property and probably people’s lives. Indeed. 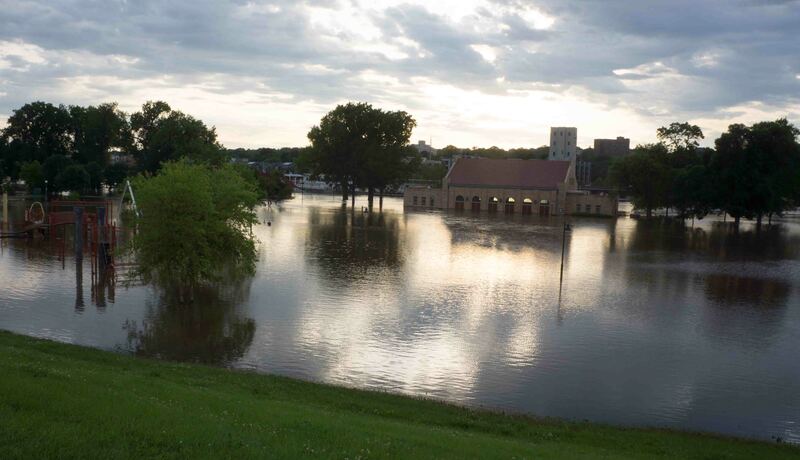 Harriet Island is sort of built for flooding. But it is a much different story for many. Thanks for the comment.